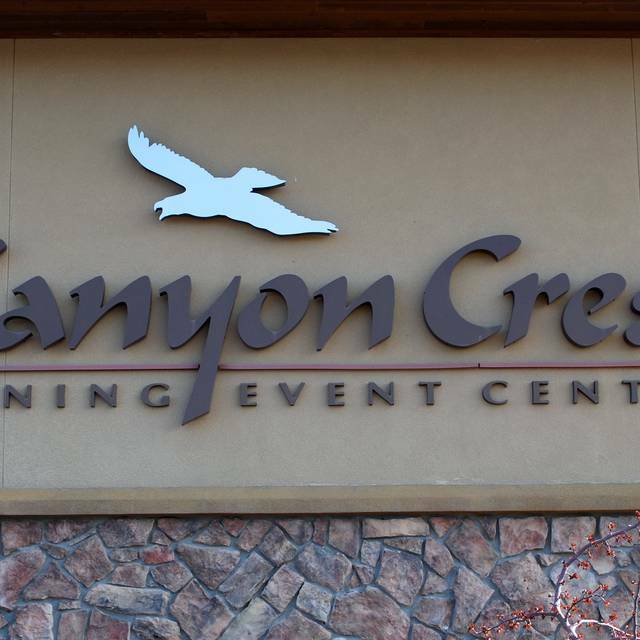 Our attached Event Center often holds large gatherings, so don't worry if the parking lot seems full. 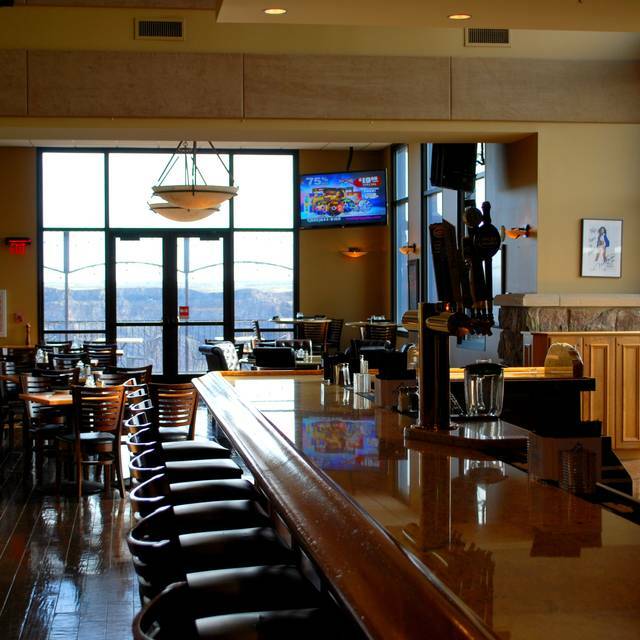 We will be ready to seat you in our picturesque dining room or lounge. Occasional live music on Saturday evenings. Easter, Mother's Day, Father's Day, Thanksgiving and New Year's Eve Buffets. Please contact us at 208-733-9392 for reservations on these dates. Full offsite catering available for up to 600 people. 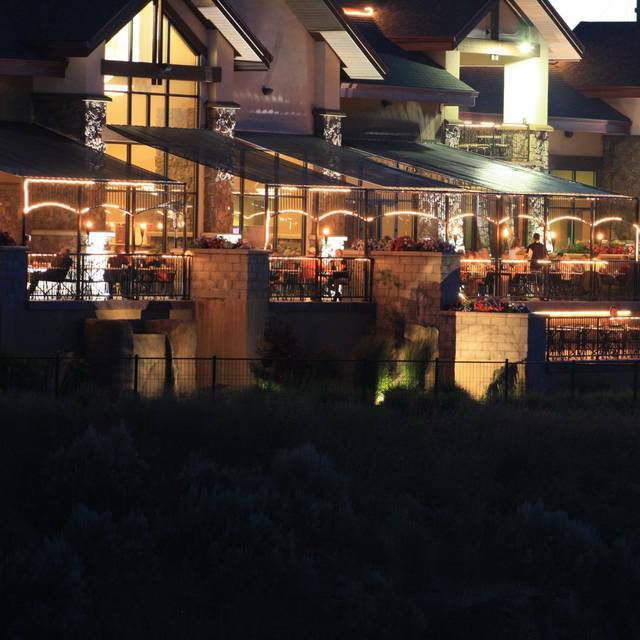 Overlooking the world-famous Snake River Canyon, be prepared to be amazed by both the meal and Canyon Crest's impressive backdrop. We are proud to feature award-winning executive chef Richard Berger, whose experience in the finest kitchens from Beverly Hills, to Atlanta, to Chicago, bring the best of the American Bistro taste you won't find anywhere else. They did not have my reservation that was made through this website.I have a copy of the confirmation number and everything on my phone and they didn't have it. We were still able to get us a seat without any waiting and it was an excellent experience.however the whole point of using a online reservation site is to make sure the tables waiting for us when we get there it could have been turned out a lot worse. The wait staff if awesome. The buffet brunch was very good especially when compared to the price which was very reasonable. This was my first visit ever to this location. I did not get a lime with my gin & tonic. It was bland and I can make bad drinks on my own at home. For a $40 meal for one person, I thought it could be better. The plates my companion & I ate, and looking at the rest of the plates delivered to other guests in the restaurant were all plated and prepped and cooked by the local college culinary arts students given artistic freedom for the evening and not by experienced chefs. The service received appeared to be from inexperienced temp employees. Bland uncomfortable service or making rude, awkward comments. The appetizers were a mix of entree sized meals and small tastings. They were not consistent sizes for the table, so the table will not finish eating at the same time. I had so many clams for my appetizer, that I needed more garlic ciabatta bread or pasta to eat them. They were very good but I could not eat my entree I was so full. The lobster bisque was watery and thin and not thick and creamy as expected. I was not given a soup spoon but a regular tablespoon to drink my tomato broth with. I had to drink it out of the cup because the small spoon was not working. The shrimp sauce with the barracuda was extremely salty and hard to eat. Didn't anyone taste anything to make sure seasoning was correct before sending it out to patrons? Sprinkling blue cheese on top of a sirloin does not make it "crusted." The sirloin was a small unseasoned roast and not cooked as requested as it was so thick. I had to take it home so I could cook it to medium as requested instead of rare with a cool red center. The chocolate strawberries were a nice treat. The bananas foster needed a long tea spoon to reach into the drinking glass. Either Canyon Crest does not have the available tableware or the staff does not know when to included the proper silverware with each dish. Canyon Crest is confused weather it wants to be classy or white trashy. Staff needs a little more training and consistency. As always great service and amazing food. You can't go wrong if you choose to eat here. Somewhat disappointed. Service was slow. No one in the restaurant so no energy. It was like a morgue. Server was excellent but food delivery was slow. Had a chip appetizer which was not good. Wine pour was excellent as were the wine choices. Not a good place to go on a Monday as we were one of only two parties in the whole place -- not fun! Good food and great service was our experience. The atmosphere was nice and quiet so you could have a conversation without raising your voice. Our service was quite friendly with great wine recommendations. Food and service were beyond excellent. Amazing view of Snake River Canyon and Perrine Bridge. I’m so glad we found this gem. An ex exceptionally varied menu. The experience overall wasn't bad, however, there were several major areas for improvement. The first issue was that our appetizer was forgotten that we ordered. Our pre-dinner bread was forgotten as well. Unfortunately I forgot to check and see that we were not charged for the forgotten appetizer. Hopefully we did not pay for it. Multiple times our waitress forgot to bring our drinks. So our glasses were left empty through the majority of the meal. The other issue was that our waitress/waiter kept changing to a different person through the meal. There were about 3 people we cycled through. They were all pleasant enough but it is inefficient and annoying to have to start over with a new person as they are not aware of what you ordered. The food was tasty and I can't really say anything negative about it. The last observations are no disability access to the doors. This is the button for a handicap person to open the door. The place did not have table access either, only booths, which makes it uncomfortable or impossible for a disabled person to access. I have eaten here before, with mixed reviews. This time, though, my Cajun Shrimp Caesar Salad was absolutely divine. Best meal yet! The service was great too. Food was ok...view was amazing...we ate outside but as soon as we got food the hornets also came out...we were fighting with the bees more than enjoying the meal. Very professional staff, quick serv ice, good follow up during and after meal. For us and 4 of our closest friends, this is our 4th year coming here on the Friday night before the Magic Valley Beer Festival. Food, drinks, service and atmosphere always adds to the memorable evening. 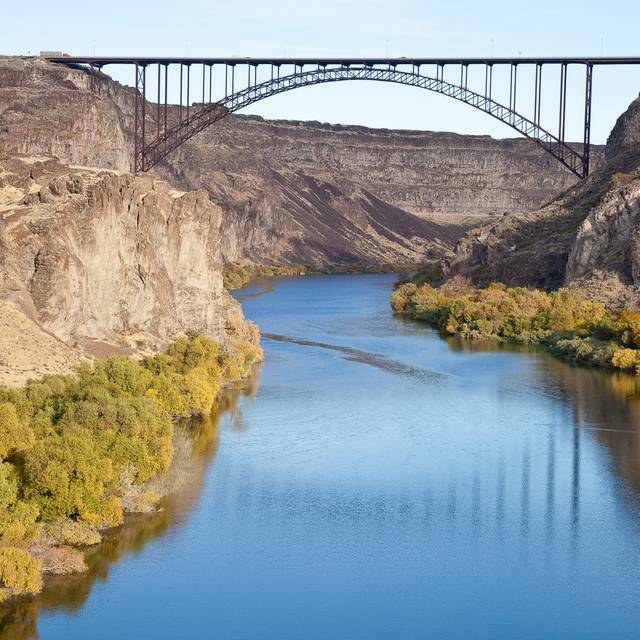 Stunning view of the Snake River Gorge, a waterfall, and activity on the river, in addition to a golf course. 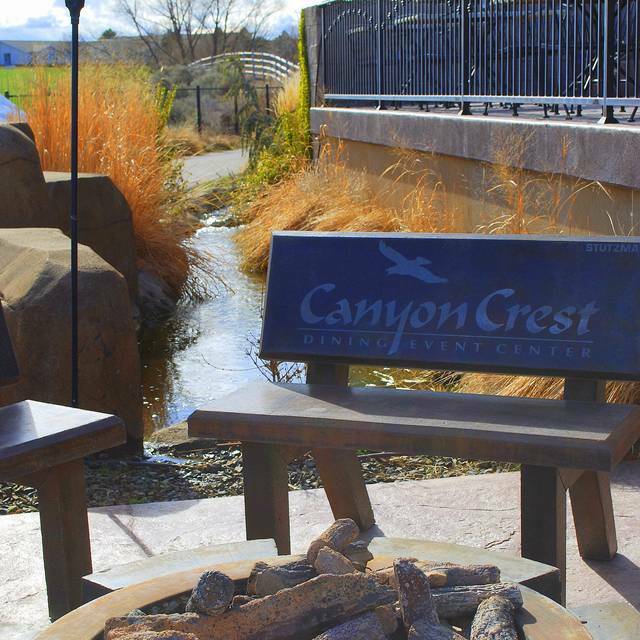 Very pleasant outdoor patio dining --- and dogs welcome. 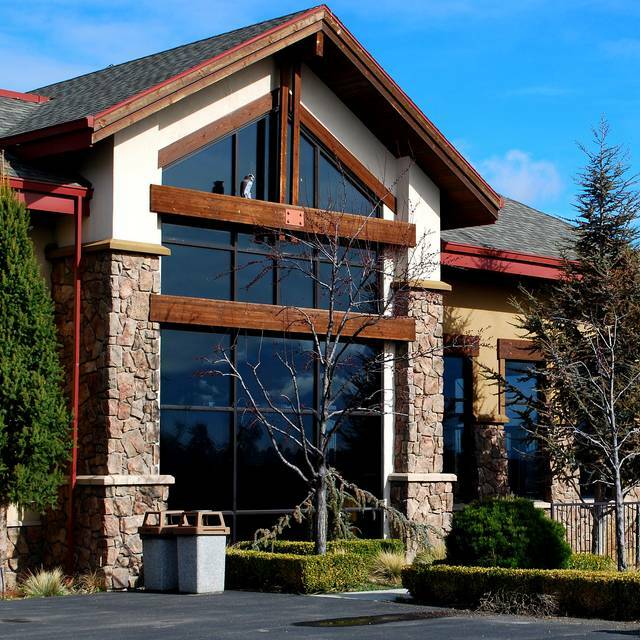 Great value for well-prepared food and also well priced wine selections (including two Idaho wines by the glass). Also very convenient to local hotels for those traveling. Food was good but the service this evening was very slow. Excellent service, food was good, view from the patio was awesome. Found this restaurant via Yelp while passing through Idaho. Special, lovely venue with spectacular view, excellent service and yummy food. It was the worst experience I have ever had at a resturant here in the Magic Valley the food was terrible it was cold and the buffet did not offer several items while we dined for fathers day. The area was dirty we also made reservations prior to and still waited over 45 minutes to eat. Our server even told us how terrible he was as a server and only charged us one adult when we had 5 people in our party. I will never go there again and word of mouth spreads like wild fire in this small community. 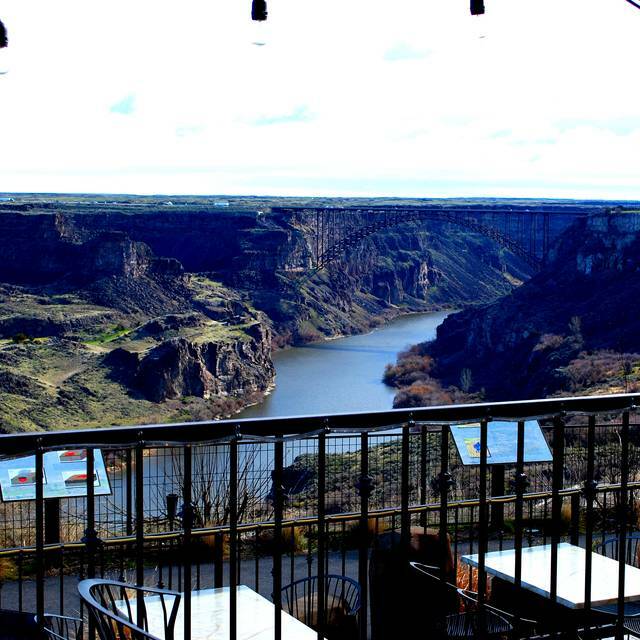 The Spectacular view of the canyon can be seen without wasting money on the restaurant. Found a hair is my salad, 2 pounds of sodium in the food and the pasta was baked to a crisp. Beautiful restaurant! Service and food was fantastic, and the view is spectacular! 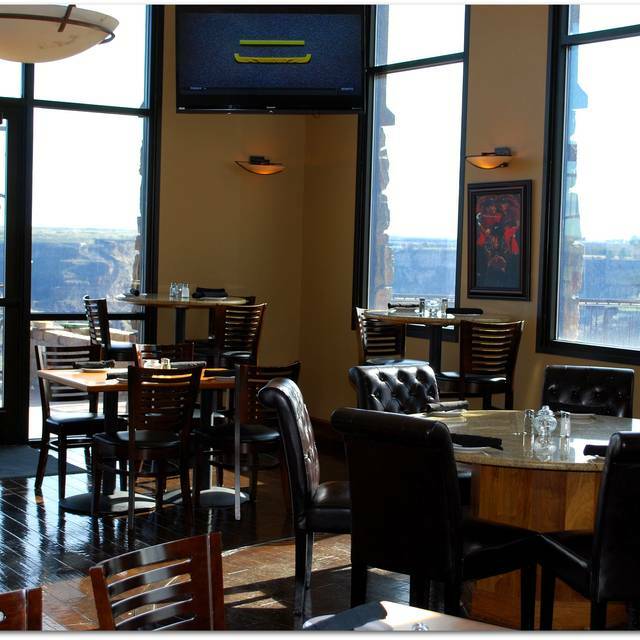 Spectacular views... modest food.. think banquet buffet event center food, delivered to your table. Place has great promise with the view but needs to retool for non-event dining. Sunday brunch - food was great, and service was excellent. Lots of functions going on tonight. We were seated at a table kind of in the middle of no where in front of the kitchen. Not a very good place to sit. Staff was nice, however, our alcoholic drinks weren't consistent. But the food came out quick, it was cooked like we ordered, and it tasted wonderful! The salmon was terrible. We asked for plain broccoli and were served broccoli with the garlic butter sauce. Poor value for the cost. The canyon view is nice. 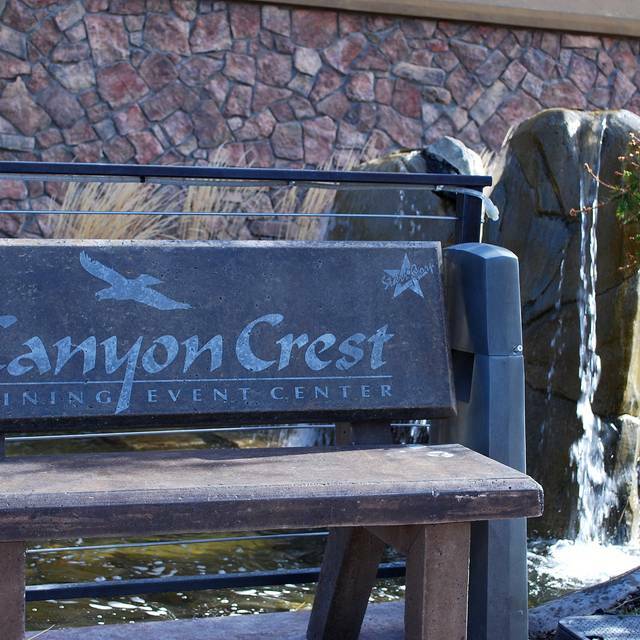 My wife and I were in town on our wedding anniversary and decided that we would have dinner at Canyon Crest Dining -- I put in a reservation and asked if there was anything that they could do to make the night a little more special. I asked for something simple, flowers and candlelight dinner. Told them to use their imagination. When we arrived we found that there was a comedy show, which was booked out. Now, if we were there for the comedy show, great! I am all for comedy shows and such, however it would have been nice to know that while trying to have a romantic evening with my wife, that we were informed that there was a comedy show there. The noise level was so high, that I had to shout to my wife across the table. In lieu of that, we were seated at our table and nothing of the sort was done to accommodate my request, not that I was expecting much, but literally nothing was done. We received poor service due to the comedy club. Took approx. 30 minutes to get menus and water....and another 45 minutes to get our food. Nevertheless the food was excellent, however the experience was less than spectacular. I understand that they were busy with the comedy show, however it would seem that they would have extra staff to cover the workload. Was expecting more. It was my birthday - we showed up and had to be seated in the bar area because they were having a comedy show. Had I known that - I wouldn't have made a reservation. The steak that my wife had was similar to going to Applebees so price wasn't quite worth it and the more was louder music in the bar than in the main area so you'd hear two different things that didnt mix at the same time. Staff was great though. We had the best cooked steak one could ask for! The meat we prefer is Ribeye and they just happened to have that cut this particular Friday evening. We like ours Pittsburgh style (or as some might call it, Black and Blue). This is a steak that is basically charred nicely on the out-side and red/rare on the inside. Since we've moved to Idaho, this has been the VERY BEST steaks we've had in Twin Falls -- and we've had some from other "4-plus Star" restaurants. Our compliments, again, to Richard -- the chef!!! Everything was great as always. Service especially great. It was overall a wonderful night with amazing food!